“Moving to the cloud” refers to the centralization of IT infrastructure, applications, and data into consolidated data centers, allowing users to gain the benefits of automation and service management and achieve greater flexibility in the deployment and consumption of IT services. These data centers are often owned and operated by a third party and can be accessed remotely at any time. 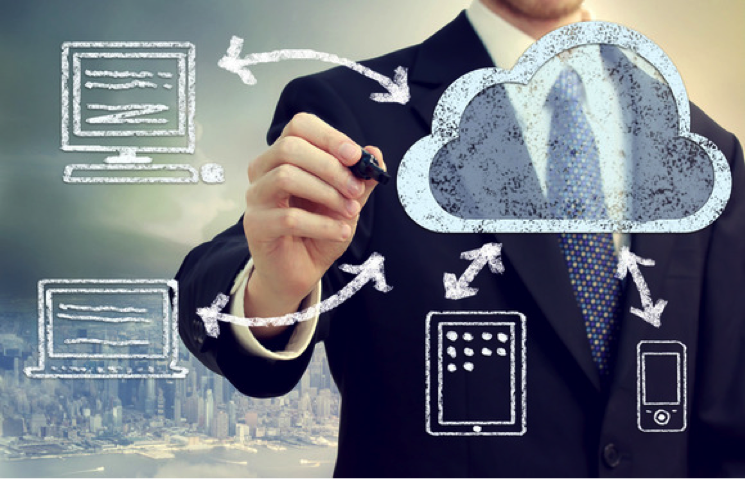 Using third party cloud services can alleviate many of the IT headaches that small businesses typically face, while minimizing capital investment and delivering flexibility to expand and contract services along with business needs. Limited capital investment: Rather than buying lifetime licenses for software, or investing in hardware for a new server, you rent what you need for as long as you need it. Outsourced IT: Instead of having to buy, install, and maintain your own server, you can rely on the cloud service provider to do this for you. Likewise applications are automatically managed and updated to the latest releases, freeing your company from having to retain in-house IT expertise. Flexibility: The way you use cloud services can evolve with your business needs. Starting by only paying for what you need today, cloud solutions can scale up with your business, or allow you to set up a new server for a limited scope project and simply stop paying for it when you’ve finished. IT on demand: New servers can be up and running in minutes versus the weeks it may take to do this internally. Reduced costs: Limiting investment and increasing usage flexibility translates to a significant cost savings compared to the conventional approach. Server management: Small businesses often have a server or two installed somewhere in a cupboard, perhaps selected a few years ago to meet the needs of the time but now struggling to keep up. Moving applications into the cloud can extend the shelf life of these older servers, or remove the need for them entirely. Data backup and recovery: Data backups are often a challenge for small businesses. The owner may take a backup home when time permits (or when they remember). Most cloud services allow you to duplicate data online, create archive copies, or mirror local server data at a remote location. These processes can be automated, and will ensure faster and more reliable data restoration in the event of a problem. Mobile working: Another issue for small businesses is how to provide remote access to applications or data stored onsite. Cloud-based computing services allow access to applications and data from any location and from any device, meaning that the company can collaborate more effectively regardless of location. When data is stored in the cloud, team members can simply share a link with other members who need access, rather than emailing large files to one another. Lower costs: Servers can be rented by the hour, and application licenses are often available on a more flexible payment plan. Cloud-based storage providers make use of technology advances to maintain low prices, allowing IT costs to be more tightly controlled and managed. Planning for the future: Cloud services are scalable, so you can start with only paying for what you need, knowing that as your business expands the same solution can scale with you. This flexibility makes moving computing needs to the cloud a great option for companies that experience cyclical or seasonal spikes in demand. For example, a retail company may experience much higher volume to their website during a holiday period; rather than building for the peak capacity — and paying for these resources year-round — a cloud-based service can automatically scale up and down as demand fluctuates. Designing a solution that makes use of the flexibility of the cloud can pay dividends for a business of any size. Making the best use of cloud services requires planning and expertise; small businesses should consider working with an experienced partner to help design and implement the most appropriate solutions for their unique needs. (I’ll address the considerations for choosing the right cloud services partner in a future post.) For many small businesses, adopting cloud-based solutions provides the cost-effectiveness and flexibility necessary for success. About the author: David Pool is an experienced Cloud and Managed Services specialist and business strategy advisor helping companies through the product lifecycle of developing, building, and going to market with a portfolio of cloud-based services. Copyright © 2018 Information Security Systems, LLC (ISSI), All Rights Reserved.